According to Happeh Theory the purpose of life is to evolve into a higher level human being. The daily life of people is manipulated so they will encounter events that are designed to teach them that reality and help them to reach it. Those events are almost always simple things that occur very quickly. The reason for that is one of the characteristics of human beings is that if they look at something for a long time, they begin to ignore part or all of what they see. If something is flashed in front of a human being they are much more likely to think about it because they were unable to make out whatever it was clearly. The individual will continue to think about whatever it was to try and clear up the confusion they feel. This blog entry presents an example of one of those lessons about the realities of life. The example picture is shown below. The picture was presented as part of a picture gallery. The majority of people who encounter this picture will think nothing of it. The picture is just a picture that is part of a picture gallery. Some people though will feel like there is something in that picture that is important to them. These people are being tempted to discover one of the realities of life. If you are a person who is feeling that type of urge after viewing the example picture, you should try very hard to memorize exactly how you feel. That way the next time you have that feeling, you will know that there must be a lesson about a reality of life somewhere around you. What could the lesson about the realities of life in the example picture be? It was previously stated that lessons about the realities of life are almost always simple, so whatever it is in this picture that is a reality of life lesson must be simple. and some painting on it. 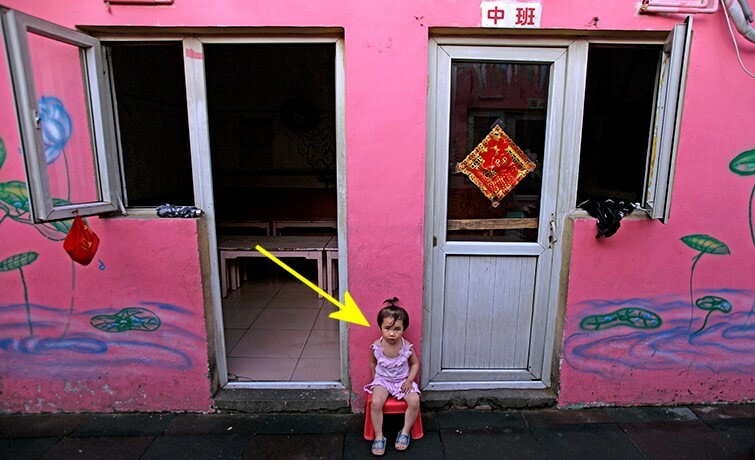 There is also a small girl sitting on a chair in front of the buildings. There does not seem to be anything going on in the picture. That is how it is supposed to look. Lessons about the realities of life are never obvious. They are always hidden behind something obvious. This picture is obviously of a small girl sitting in front of a building, so most people’s brains will turn off and they will never think another thought about the picture. When looking for a lesson about a reality of life, look for something seemingly innocuous. Something that looks so meaningless that you would pass right by it without a second thought, unless you were already aware of that particular lesson about a reality of life. Please take a moment to examine the picture again. while the door on the right is closed. Now please take a moment to examine the young girl. while her left arm is held in front of her body. The lesson about a reality of life in this picture is about the human body. The right side of the girl’s body would be described as “open” by certain groups of people, because with her right arm behind her the right side of her body is “open” to outside viewing. The open right side of the girl’s body matches the open door. The left side of the girl’s body would be described as “closed” by the same groups of people because with her left arm held in front of her body, her left side is “closed” to outside viewing. 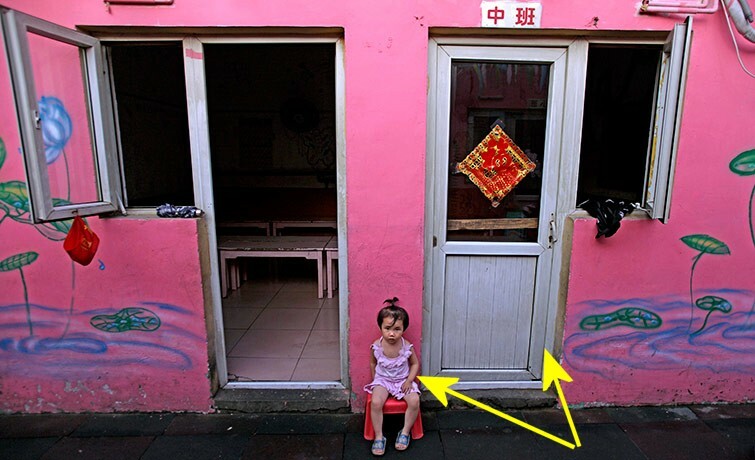 The closed left side of the girls body matches the closed door. The reason this picture is a lesson about the realities of life, is that most people have never heard the words “open” and “closed” used to describe the physical human body, so of course they have absolutely no idea what they mean. The purpose of this lesson about the realities of life is firstly to teach the individual about “open” and “closed” parts of the human body, and secondly to stimulate the individual to go out on their own and find out more about what the terms “open” and “closed” mean when applied to the human body. As the individual works towards that goal, they will be rewarded with more lessons about the realities of life. The individual who simply accepts that “open” when applied to the human body means “open to view”, and “closed” when applied to the human body means “closed to view, is depriving themselves of something that could possible elevate them to a higher level of humanity. That individual has cut themselves off from the many other lessons about the realities of life they would have been exposed to, if they had exerted some effort and made some attempt at learning more about what the terms “open” and “closed” mean when applied to the human body.